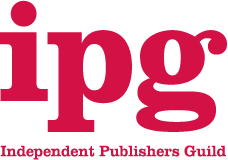 This year, I am attending my very first Independent Publishers Guild (@ipghq) Annual Spring Conference, live-Tweeting the whole event on behalf of the Society of Young Publishers (@SYP_UK) and representing Periscope (@periscopebooks), the new international literary fiction imprint I’ve just started as Editorial Assistant at. With a welcome by IPG Chair Oliver Gadsby and hosted through an afternoon of events by IPG patron Jonathan Harris, Day 1 of the Conference has already been jam-packed. With insightful sessions from Amazon’s Russell Jones, Toppsta’s Georgina Atwell (@magnocarta) and Nina Peregrine-Jones (@_bookrights_), George Banbury of Perseus Book Group and the gadget man Dean Johnson (@activrightbrain), there’s far too much to cover in one blog post. These are just three the highlights and thoughts I’ve taken away so far. It is very rare that Amazon will speak publicly, so it was an unusual and thought-provoking privilege to have listened to Russell Jones at the #ipgsc today. As is the Amazon way, however, there was a total lock-down on discussing the contents of the talk in the media. This was really unfortunate because a few of us felt that what Jones was saying was not only incredibly positive, it could help to mend the breaches between the tech giant and the Publishing industry. Putting a limit on outside communication not only prevented this positivity from escaping the room, it actually engendered no small degree of grump on social media from many in the Publishing community. It turns out, publishers are fans of transparency. We’re not good with people who are engaged in, or appear to be engaged in, acts of secrecy. Whether Amazon was legitimate in their request for social media silence, it is another instance where Amazon and Publishing have perhaps passed each other by, not because they have opposing ideas, but because the communication methods of each are slightly alien to the other. Having said that, I cannot emphasise enough what a good session it was. Whenever I’ve sees people from Amazon engaged in public speaking, I have always been very struck by their presence of mind and steadiness and this was no exception. Jones handled a long question time with calmness and generosity, even when the questions got a little hot. Though I can’t talk about the contents of the session itself, of course, the overwhelming feeling I took away was that Publishers need to change their attitude towards Amazon: it’s not just about getting our books on their platform, it’s about actually engendering a positive working relationship with them. ‘Attitude’ was today’s buzzword, as gadget man Dean Johnson pointed out during his speech on integrating Publishing with the wider technological world in the face of all its changes. “There is no one future for the book,” he said, stating that there were many futures and each one was right. We have to embrace them all and more, without fear. They don’t mean the end of books, they will just live alongside books: the future is not an either/or scenario. But he was also adamant that we need to stand up for ourselves: “This is a fun industry. That’s Publishing’s downfall. You’re too nice!” Those who will survive into the future are those who can meet it and not be threatened by it, but meet it head on with innovation, those who can demonstrate the right attitude. Overwhelmed yet? So we we. Make sure you publicly release Facebook from any association with, or endorsement of, the competition. Do not involve a user’s personal timeline in competitions: getting them to share posts to their personal timelines is not legal under Facebook’s Terms. Have a clear mechanism for users to consent to their involvement in the contest, and make it very clear what they are signing up for when they do get involved. Peregrine-Jones also emphasised the importance of having an internal social media policy for your company and a separate company Facebook account so that employee privacy could be maintained. After looking at Facebook’s Terms for brand pages, I can really see her point. Overall, today has just been a brilliant day, full of meeting fantastic new people and discussing one of my favourite topics – our lovely industry! I can’t wait to see what tomorrow brings and if you want to earwig on events, follow along on the hashtag #ipgsc, or follow along with me and the SYP on my Twitter feed (@jasminkirkbride). Previous Bookmachine | The Content Graveyard: How much is too much?